As I’ve learned this weekend, you should never go shopping with a hangover! I have ended up with so much stuff it’s unbelievable. Ok, so it wasn’t all the hangover’s fault. I did get some disappointing news this weekend so a little splurge helped to cheer me up. I picked up some really cute products in H&M (totally seduced by packaging), a new necklace from Primark and this pair of boots (again from H&M) that I really can’t decide what I think about! Are they just too much? 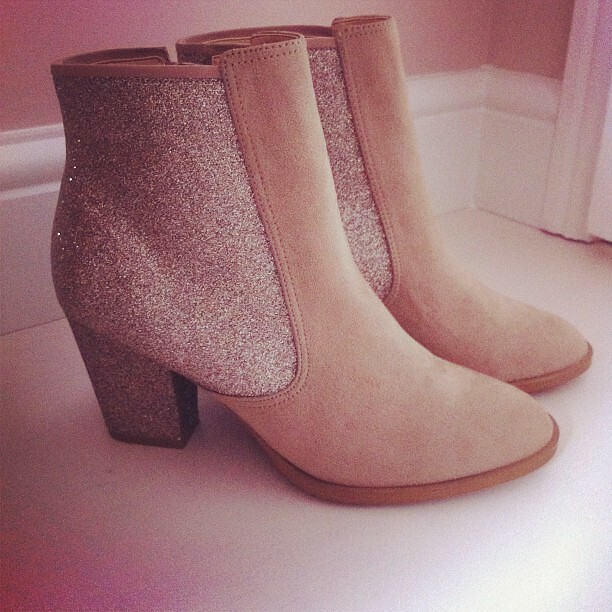 So going back to the boots: how do we feel about suede and glitter? Too much? My lovely mother reckons they make me look like a space-age charv (or chav for the Southerners). If anyone can pull off the boots…you can. thanks for your lovely comment, you should have come over! although i would probbaly be quite shy if i spotted anyone too! love your purchases, i would totally wear these boots as well. oh tes boots sont superbes, j'adore! I can see why you splurged! Those are adorable!!! That necklace is amazing! I definitely need to find some fun pieces like that for the summer. Oh, you have to keep the boots! I walked away from the same pair a few weeks ago and have regretted it every day since! i love them…i wouldn't diy a pair i had, but those are great! Def diggin' the suede and glitter! 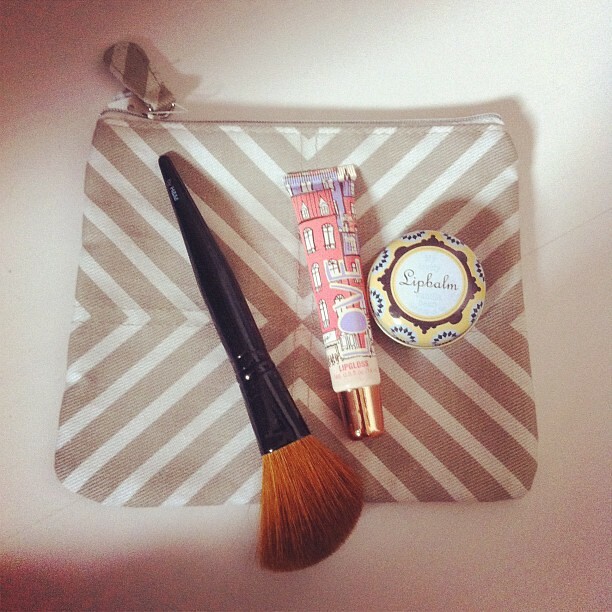 Fun yet classy. 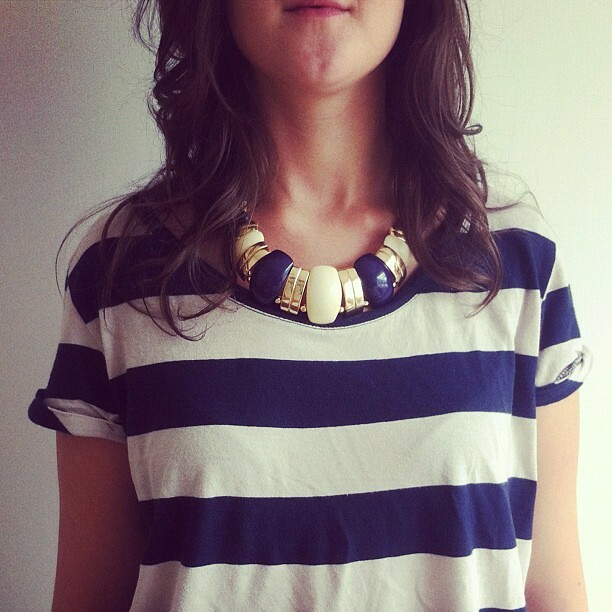 Loving that blue and white necklace! Love the shoes, I need them in my life!